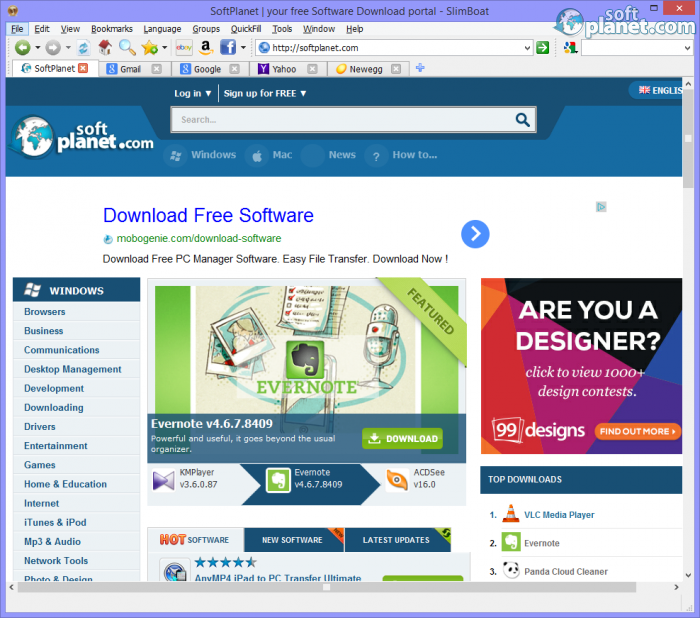 SoftPlanet makes it possible for everyone to get free SlimBoat download directly from our servers. There is no registration needed for downloading. 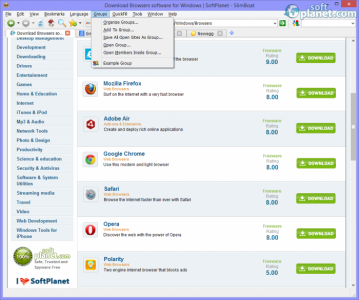 SlimBoat 1.1.53 falls in the web browsers category and it is a free, fully-featured and fast application that can work with Windows, Mac and Linux OS. 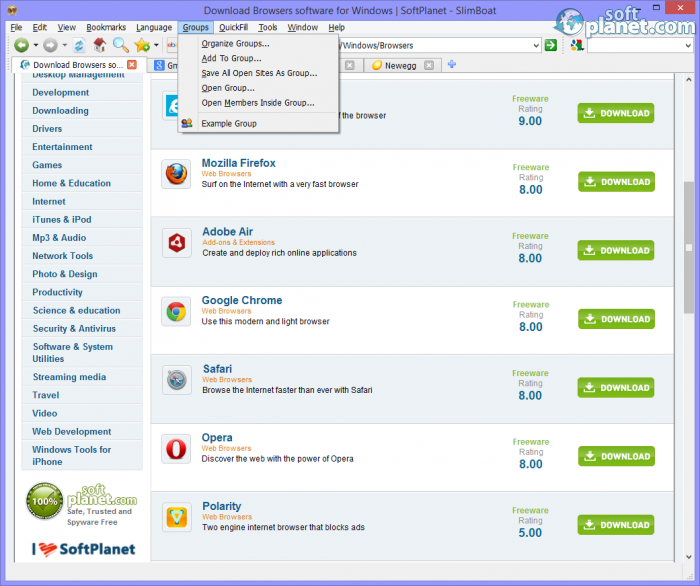 It is built on QTWebkit and besides the standard features, which any self-respected browser has, it has many additional ones. An intelligent form filler, a pop-up blocker, a web page translator, very quick search, a fast download manager, weather forecast integration, etc. are only a few of them. This program is absolutely free, it can be downloaded and used for both personal and commercial use and it is free to be distributed on the Internet in its original form. 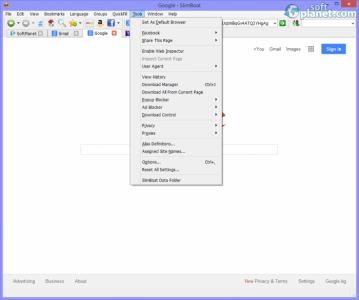 SlimBoat includes some additional menu options, toolbars and side panels. Many users can use the app in their native language because it is probably included in the list of supported languages. The Tools menu reveals all additional utilities that are also included for no charge and you can take a glance of them at any time. There is also very detailed online help, which contains all important aspects of this sleek web browser. 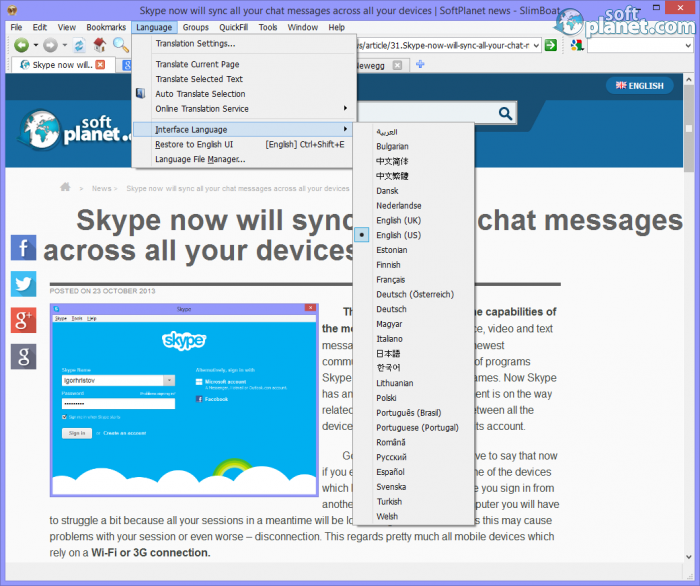 The interface of SlimBoat looks very similar to most of the well-known and popular web browsers like Internet Explorer, Mozilla Firefox and Google Chrome. This fact cannot be changed because it would be very hard for most users to work with it. 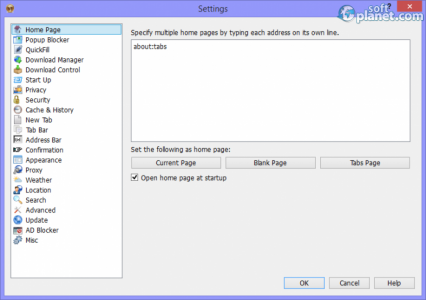 The standard browser menus and toolbars are placed on top, but users can place their tab bar on top of or at the bottom of the program window. Every other bar can be shown or hidden; moreover, there are eight application styles which are very similar, but you can choose time over time one of them for diversity. All SlimBoat 1.1.53 settings can be controlled and changed from the Settings window. Brief weather forecast information for your location no matter where on Earth you are can be shown at the bottom of the screen. 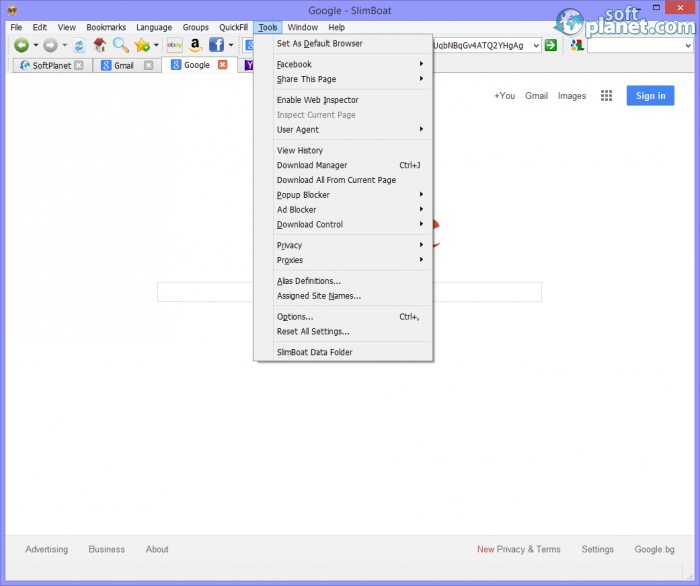 You can configure the Download manager, the Popup Blocker, the Ad Blocker and Proxies with no sweat as long as you know how you want their settings to be. All in all SlimBoat is a very competitive to the web browser leaders program which can be used with the same success. 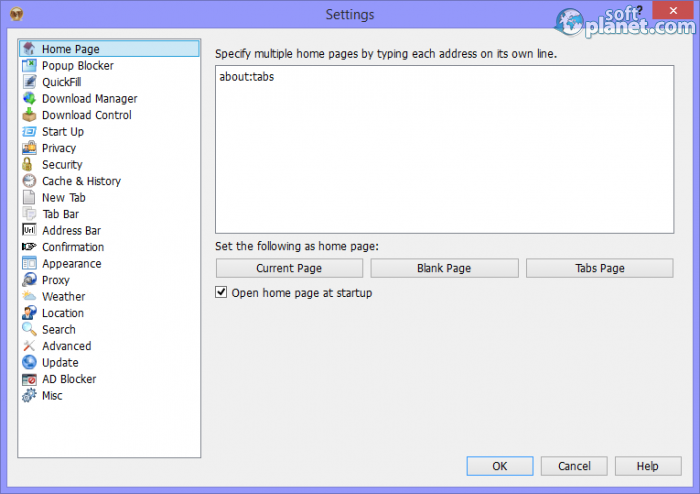 Once you try it there is a big chance that you will like it and it may become your favorite browser for a long time. Or not. Whatever the case is – share with us your experience. Our security scan shows that SlimBoat is clean from viruses. The current version of SlimBoat has been scanned by our system, which contains 46 different anti-virus algorithms. That ensures that SlimBoat 1.1.53 is 100% safe for your computer.